"Put on your glasses on because we are on our way to bring the shine back in to your windows" Pure water window cleaning sound a little farfetched? How can only water be used to clean without using any kind of soap? 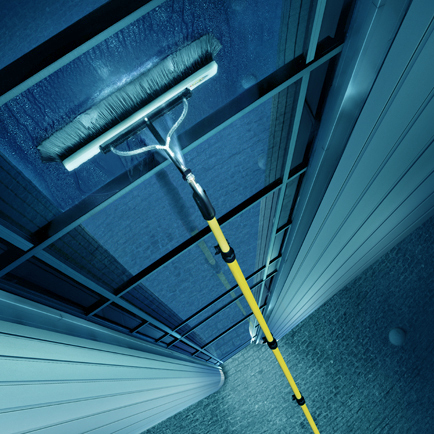 This is the new technology to clean windows! 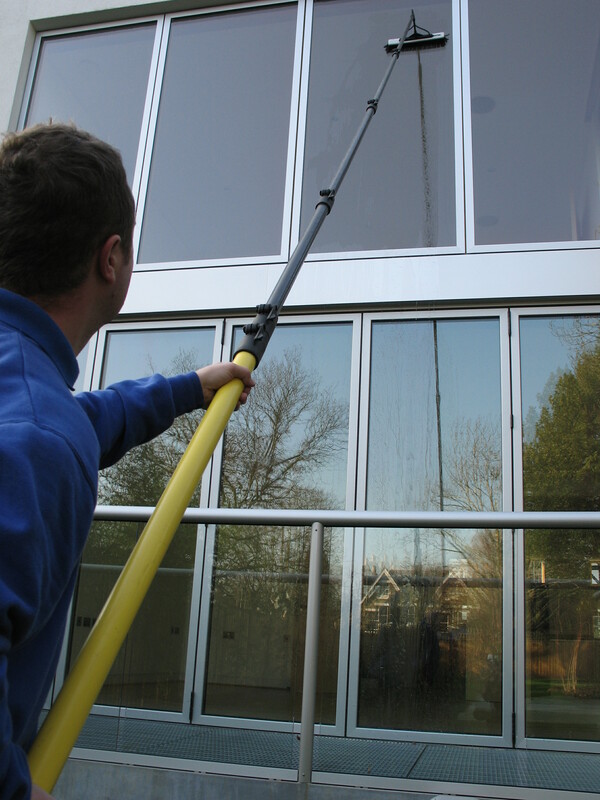 The window and frames are scrubbed with a wet brush to loosen the dirt, and then rinsed with highly purified deionised water (reversed osmosis). Because the water is pure, it leaves no marks when it dries and makes it spotless clean! 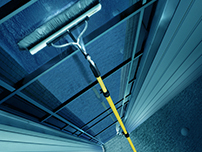 We use a water fed pole system that can go as high as 20m! Using No Ladders or Chemicals. 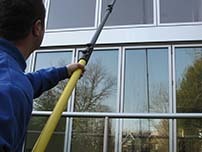 We can clean any Commercial or Domestic windows, also awnings signs, store fronts, guttering and garage doors. Contact us for no obligation free quote! When doing window tinting and window cleaning at the same time you will get a once in a lifetime quote! Special prices will be arranged for office parks or estate trustees.